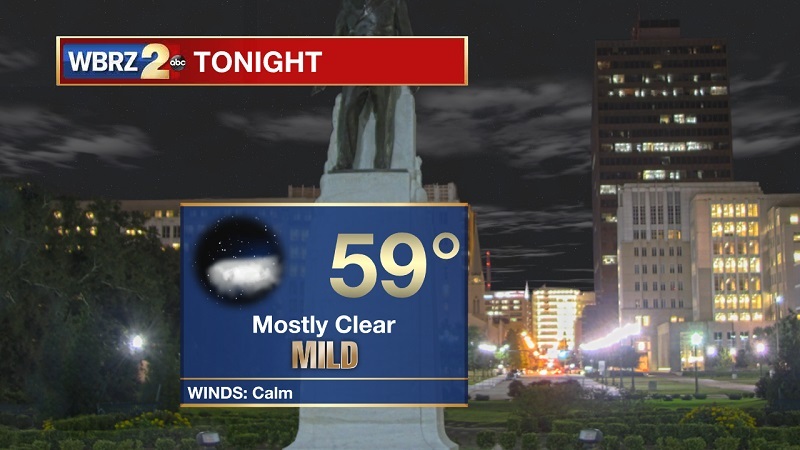 Tonight and Tomorrow: Mostly clear skies tonight, as light southerly winds help to keep temperatures near 59° overnight. Dewpoints will also slowly increase into the low 60s into Monday morning, which will allow for some areas of patchy fog to develop before 10 AM. An approaching cold front will be breaking up through the morning, bringing spotty showers into the area from the northwest after 9 AM. Afternoon isolated storms will develop, extending into the evening hours before drying out by 8 PM. Up Next: After a wet start to the workweek, drier conditions will stay through until the weekend. High temperatures will drop to around 70° on Tuesday, before warming back near 80° on Saturday. 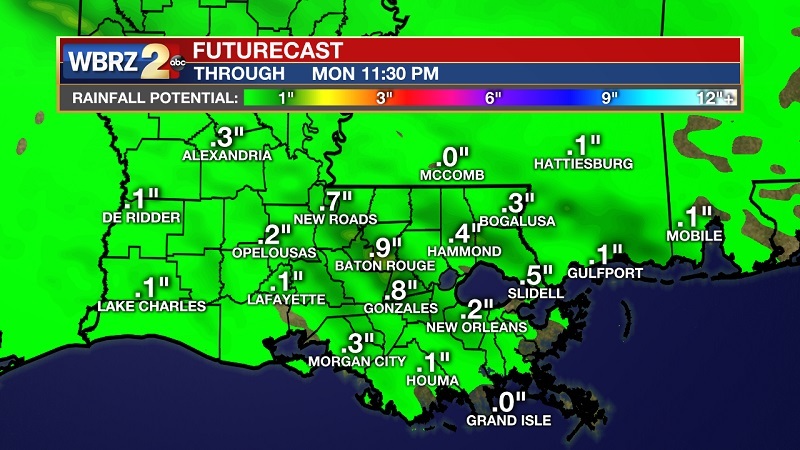 The frontal system will be advancing through the area and into the Gulf on Monday, bringing with it showers and afternoon/evening isolated storms. Some cells could develop into rather strong storms, but the severe section of this system will stay well to our north and east. The front finally pushes through Monday night, clearing skies and pushing cooler and drier air along the Gulf Coast. Temperatures will bottom out Tuesday and Tuesday night, with highs near 70° and lows around 46°. 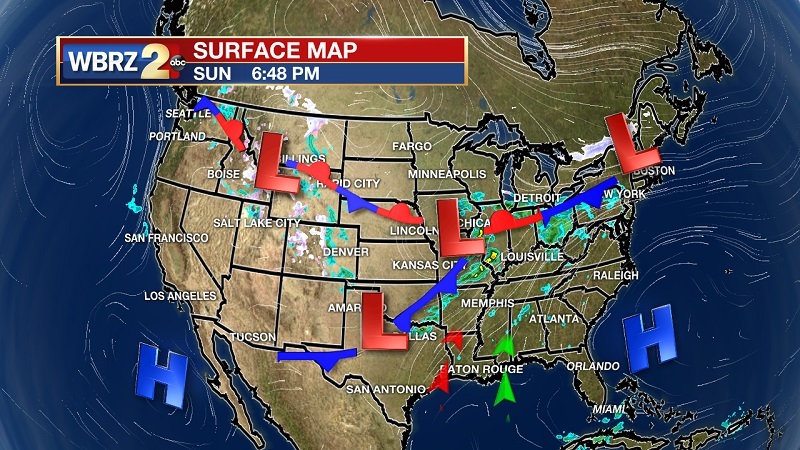 High pressure stays in control through the week, with sunny skies continuing through Thursday. Another system approaches over the weekend, as it stalls and flattens to keep rain and storm chances elevated Saturday and Sunday. We will continue to monitor model trends through the week, as a wet and stormy weather pattern could be developing through the first week of April. Stay Tuned.